Short Information: Union Public Service Commission, UPSC are Recently Uploaded Final Result, Marks for the Recruitment Post of Indian Economics Service IES | Indian Statistical Service ISS Exam 44 Post Vacancy Examination 2017. Those Candidates are Registered to the Following Vacancy and Can Read the Full Exam Instruction and Download Final Result, Marks. Indian Economic Service IES 15 Passed/ Appearing Post Graduate / Master Degree in Economics /Applied Economics/ Businees Economics/ Econimetric From Any Recognized University In India. Indian Statistical Service ISS 29 Passed/ Appearing Bachelor Degree With Statistics/ Mathematics Statistics/ Applied Statistics as one of the Subjects Or a Master Degree in Statistics/ Mathematical Statistics / Applied Statistics. 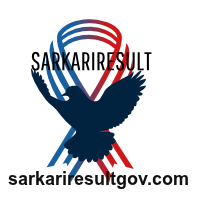 Registered Candidates Can Download Final Result, Marks now.